Building Products Plus manufactures and supplies treated and untreated solid natural wood columns and poles as well as #1 grade posts with no taper. We manufacture Gun Barrel poles – solid poles of any length with no taper used for construction poles or structural columns in applications where strength and aesthetics are important. Gun Barrel poles make impressive columns, are structurally sound, and are available in lengths up to 52 feet and diameters up to 20 inches. Gun Barrel columns are much less expensive than traditional architectural columns and are even cheaper than square timbers and pilings in most sizes. Call our Project Consultants at 800-816-0335 or contact us online – we will respond quickly. We manufacture Solid Uniform Diameter (SUD) poles – solid poles of any length with no taper used for construction poles or structural columns in applications where strength and aesthetics are important. 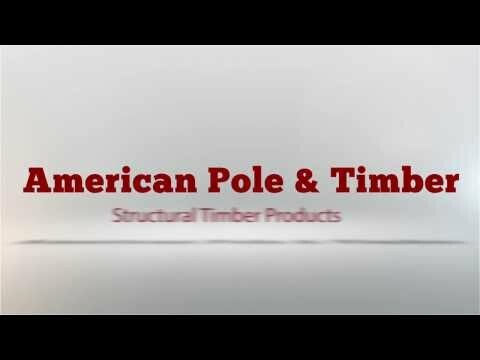 Solid Uniform Diameter Poles make impressive columns, are structurally sound, and are available in lengths up to 42 feet. They can be treated or untreated and are available in any diameter, and larger. SUD columns are much less expensive than traditional architectural columns. We supply #1 NON-tapered untreated and treated 6.5 ft and 8 ft long posts. These beautiful posts come in 4, 5, and 6 inch diameters and are excellent for projects where appearance is a major factor such as frontage fences or porch posts. We can produce no-taper poles (SUDs) of ANY size at your request. Call our experienced project consultants at 800-816-0335 or contact us online to discuss Solid Uniform Diameter columns or #1 posts and poles for your project. Looking for large poles, pilings, or fence posts? Thank you for your great suggestions for my project which made it turn out nicer than I had anticipated.Louise G.
KILN DRY Before Treatment – The most common failure of a post or pole is rot and decay at the ground line. By kiln drying your posts before they are treated, we significantly increase the life of your project. Polymer Wood Coating – For an ultra long-lasting pole or post, zone coat the wood at the ground line with our protective and GUARANTEED polymer coating. The poly wood coating is sprayed on at our facilities and creates an impenetrable barrier to termites and marine borers. The near-futuristic polymer coating is used commonly to shield Poles and Pilings in harsh environments such as saltwater and industrial applications. Call our experienced project consultants at 800-816-0335 or contact us online to discuss posts and poles for your project.